Threave Rural is a new land and estate agent business based in Dumfries and Galloway. It was established to provide a wide range of rural services and to offer a facility to sell farms and rural properties. 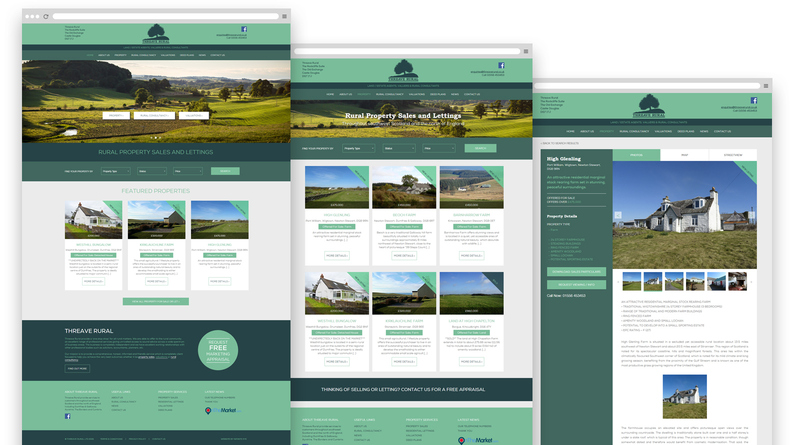 With property sales at the core of the website, our focus during the design and build was to create an effortless way for users to browse properties. 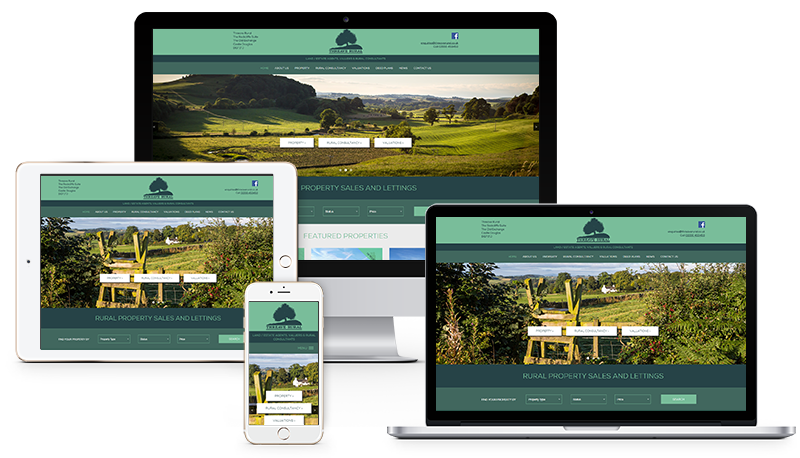 Threave Rural offer a range of rural services, but the focus of the new website was to build up the property sales side of their new venture. We wanted to design a website that was memorable and stood out from the crowd. Making use of a fresh, bold green colour scheme we create a look for Threave that is markedly different from the competition. 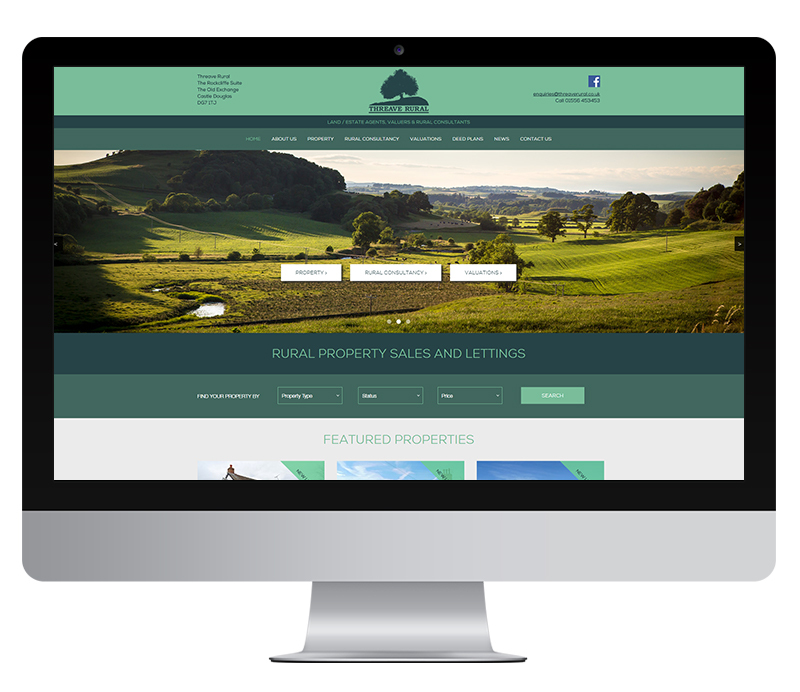 The website is mobile friendly and provide clear routes for a user to browse available properties on the website. The individual property pages allow Threave to add as many images as they like, to plot the location on a google map in to pull in a street view if one is available. All of which add up to create a full featured estate agents website. We worked closely with Dawn and Allan at Threave Rural to create a logo design that would have appeal to rural businesses. Taking a motif of a tree on a knowe, a familiar sight in the Galloway countryside, coupled with a pallete of greens we think we achieved that. Many thanks for all your efforts both Dawn and myself are delighted with how the website looks and its ease of functionality a first class job!